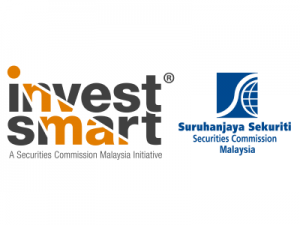 InvestSmart® Fest 2018 is Securities Commission Malaysia’s (SC) annual flagship investor education event organised for the public. The three day event will showcase products and services offered in the capital markets including shares, unit trusts, private retirement schemes, etc. Members of the public may directly engage with SC, the intermediaries, other government agencies and relevant associations to learn more about the opportunities of investing in the capital market. Themed “Investing for a Sustainable Future”, the event will also feature talks by prominent speakers from the industry, a financial planning service desk, “#Finplan4u” which enables visitors to obtain complimentary initial assessment of their financial status and learn to better manage their savings and investment. Additionally visitors may stand a chance to win exciting lucky draw prizes for participating in the event.